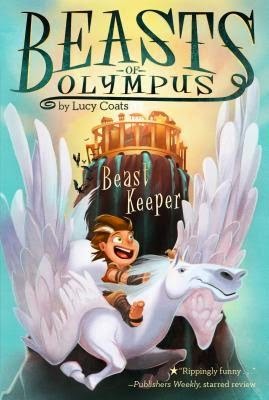 An exciting new illustrated chapter book series set in a magical ancient Greece filled with heroic adventures, gods and goddesses, mythical beasts, and plenty of humor. Plucked from his quiet, normal life in a small Greek village, ten-year-old Pandemonious—the half-god son of Pan—arrives on Olympus to find the Stables of the Gods in an uproar. The warrior-hero Heracles is causing havoc among the immortal beasts and Pandemonious is the only one who can defend them. I love the imagery Lucy uses when describing Demon's world. "Pandemonious, my boy!" said his dad. Pan's voice was like mossy bark on ancient trees. It was deep and velvety with a hint of crumbly roughness at the edges." I mean seriously, doesn't that just make you smile at the beauty of the description? I love that while this is a book for young readers and the sentences are simple and the story still filled with silliness like the 'poo chute to Tartarus' there are still these beautiful images that make them stop and think about the wonder all around them. If a voice can sound like 'mossy bark on ancient trees' what other ways can we see the world, what other beauty surrounds us disguised as the simple or mundane? Brett Bean's illustrations are just like the book light and whimsical and fit beautifully with the story, I'd be happy with a book twice as big just so we could have an illustration on every page. There are so many little things to look at. The creatures, the emotions of the characters, each picture is the perfect accompaniment to Lucy's words. I look forward to seeing how Demon grows, how he handles the problem that is 'Heracles' and hopefully how his relationship with his father grows. My 3rd grader who is a bit of an advanced reader was able to sit down and finish Beast Keeper in one sitting. She loved the ease of the story, although she was quite sad when Demon's dad took him from his mom and just left Demon to sort things out for himself. I of course felt that this was the perfect lesson in learning to problem solve on your own and when all else fails knowing you can ask for help, haha! This is a fun read for young lover's of mythology and action tales. It's simple sentence structure makes it great for even the newest readers, but doesn't leave out the more difficult words and themes allowing your child to grow as a reader. For more advanced readers this is a light, fun, entertaining book that will lead to them wanting to learn more about Greek mythology. Both types of readers will be hooked and eager for more of Demon and his adventures in Olympus! In 2015 I have 6 upcoming titles, 4 books in the brand-new Beasts of Olympus series from Piccadilly Press (Grosset and Dunlap/Penguin Young Readers in the USA), an early reader called The Little Green Drum from Orion and my first proper YA novel, Cleo, from Orchard. Cleo is a mixture of historical and paranormal, and follows the teenage Cleopatra on her journey to become pharaoh. I'm very excited about it indeed! I was born in a small village in Hampshire, England. I loved reading from an early age, and was never found without some kind of book in my hand from the time I could turn and page and make sense of what was written there. 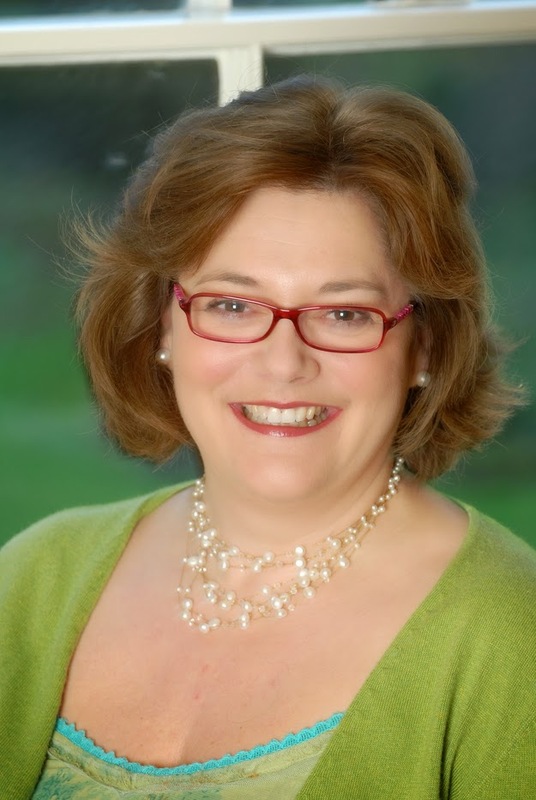 My first job was as an editor of children's books, but I soon jumped the fence and started writing my own. My first picture book was published in 1992, and now I write for all ages (two to teen). Atticus the Storyteller's 100 Greek Myths was shortlisted for the BBC Blue Peter Book Award in 2004. It is the most comprehensive collection of Greek myths ever written for children. My first novel, Hootcat Hill which was described as “A lyrical fantasy full of old, dark magic entertainingly bound up with ordinary life.” by the Sunday Times. The book I would take to a desert island is The Lord of the Rings. I've lost count of how many times I've read it, and I am still finding new things to marvel at in it.